Looking for the best in Irish wellness breaks? Here's the rundown of the Irish Tatler Spa Awards winners from 2017, revealing the top treatments, best thermal suites and the most wow factor spas in the country. 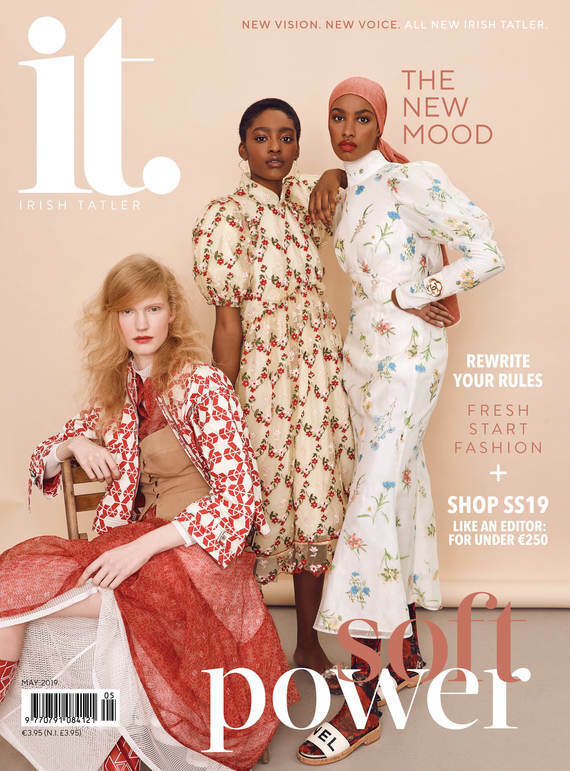 Each year, Irish Tatler scours the country from the top of Donegal to tip of Kerry to find the best of the best spa and wellness destinations. Presided over by a team of spa judges and editors, the Irish Tatler Spa Awards gives its tried and tested seal of a approval to the best service, therapists, and properties in Ireland. Here are the spas that triumphed this year in all provinces, and the treatments that stood out from the rest. Monart Destination Spa in Co Wexford, once again, stands ahead of the rest, winning Overall Spa of the Year by unanimous verdict. It is not merely an outstanding resort – year on year, Monart continues to wow our judging panel with new developments. As well as having the highest standards of spa excellence you can get, the spa still sparkles with an air of freshness – a testament to its continued dedication to benchmarking and maintaining true quality. Constant innovation in all aspects of the spa and its offering ensure Monart stays ahead of the game when it comes to providing not just a relaxing experience that melts away stress, but one with visible results. The location is a true nature-filled oasis, perfect to escape to and hard to beat. It enables every visitor to switch off and truly relax, no matter how long or short their stay at Monart may be. The out of-this-world level of customer service? The jewel in the crown. Monart Destination Spa, The Still, Enniscorthy, Co Wexford; Tel: 053 923 8999. The Spa at The Marker. If a sign of a truly notable spa is the kind of customer service that makes you feel wholly pampered, then The Marker is that rare breed that has it in droves, yet makes it feel utterly effortless. A trip to the Dublin Spa & Wellness bolthole is something special – a haven of peace and quiet in the epicenter of Grand Canal Square that also boasts some of the slickest décor in town. An ultra-efficient greeting comes courtesy of the face of front of house, Ainhoa, while the elegance of the spa itself is unparalleled – a Kirkstone clad, 23-metre infinity pool is the tip of the iceberg. The addition of a competitive Sunday package ensures luxury and value needn’t be mutually exclusive either. Spa & Wellness at The Marker Hotel, Grand Canal Square, Docklands, Dublin 2; Tel: 01 687 5100. Destinations don’t get more iconic, nor more central, than Dublin’s Shelbourne Hotel. Overlooking St Stephen’s Green, it is the benchmark for sophisticated, timeless luxury. Set over two floors, with a sleek pool and sauna, every moment spent at The Spa at The Shelbourne is one of opulence. From the chic reception area to the exquisite treatment rooms to the relaxation room with floor-to-ceiling windows overlooking the bustling city streets below, it’s an oasis in the heart of Ireland’s capital. Always a favorite, the ever-refreshed treatment list, the option to request any tailored treatment off menu and the Elemis and Panpuri brands on offer make it a constant go-to for charm, luxury and relaxation. The Spa at Lyrath Estate. Our judge was very impressed with not only the décor, the facilities and the quality of the treatment she received, but the staff at this spa. Each and every member went above and beyond to ensure that her visit was something exceptional. As well as a quiet and restful atmosphere in the spa, everything immaculately clean and tidy. Our judge enjoyed the Elemis Exotic Escape (€130/140 minutes) that combined massage and a facial, something that was suggested by staff to match her needs. It provided the ultimate relaxing experience and one they couldn’t recommend highly enough. A stone’s throw from Dublin, the spa at Killashee has it all. From the unique hydrotherapy suite, to the spacious and restful treatment rooms, relaxation is the priority. Choose from a wide variety of treatments using luxurious Elemis products and feel yourself begin to unwind within moments. The knowledgeable therapists tailor each treatment to best suit the individual, making it a truly custom experience. Our judge gave a special mention to the attentive but discreet staff whose friendly manner puts you immediately at ease. Perfect for a pre-wedding pamper, romantic break or a girly getaway, the well-priced packages ensure that everyone is catered for. A hotel spa with one of the best thermal suites we’ve ever encountered, The Heritage Killenard impressed our judge with its high levels of customer service, relaxing atmosphere and its commitment to ensuring that each guest gets the most from their visit. During our stay we found staff to be knowledgeable and approachable while the treatment menu includes something for all budgets and inclinations, including the option of having lunch served in the spa itself. The staggering of appointments for the thermal suite is a small but effective touch that ensured our judge enjoyed the facilities in peace and quiet. The Spa at Aghadoe Heights Hotel. Exemplary service was the keynote made by our judge on visiting the exquisite Spa at Aghadoe Heights, the ideal place to relax and renew in the wilds of Co Kerry. This isn’t just service with a smile, however, it’s always 100 percent genuine, as noted by our judge – from the front of house staff to the team of considered and highly-qualified therapists. The pristine communal areas truly shine too; as well as an excellently-appointed thermal suite with a color theme inspired by the hues of Irish wildflowers and grasses, the finishing touches in the relaxation area – such as fruit kebabs and personalized iPods – contribute to a spa experience that exceeds expectations. Our judge found the facilities at this spa to be of an exceptional standard and well-maintained, particularly enjoying the choice on offer, including separate vitality pool areas for both men and women, and two very different relaxation areas – one light and one dark – to choose from, depending on the mood of guests. All the staff were friendly, informed and efficient, making guests feel relaxed and at ease from the beginning of the spa experience to the very end. The treatments on offer were delivered to a high standard. Our judge felt the overall spa experience offered amazing value for money, and said they would be happy to return for subsequent visits. The moment our judge arrived at The Spa at Killarney Plaza, they were treated with attentive service and the utmost professionalism. From the serene relaxation area in which to unwind before the treatment, to the many facilities on offer, this is one not to be missed if traveling to Killarney. A special mention goes to the fabulous Decléor Head-to-Toe package (€199/225mins), which was made all the more enjoyable by the extremely capable therapist. Small but essential additions like the mood lighting and beautiful products used throughout the treatment made for a truly luxurious experience. Housed in a stunning bronze conservatory, designed by French architect Philipe Bonino, the Spa at Ashford Castle is truly the last word in luxury. Plush, ornate décor, in muted greys, creams and earthy greens, nod to the castle’s 800-year-old history, while considerate attention-to-detail elevates this spa to another level of class. Its state-of-the-art facilities include a resistance swimming pool – designed in such a way so as to extend, almost seamlessly, into the tranquil waters of one of the country’s largest lakes – five exceptional treatment rooms, an invigorating hammam, relaxing steam room and a beautiful outdoor terrace area – each impeccably finished to a standard only Red Carnation is capable of. Run like a well-oiled machine, expect expert professionalism and warmth from all of the staff at Chill Spa at the Ice House. Overlooking the River Moy, the stunning, natural views are used to best advantage – the corridors have floor-to-ceiling windows, and the Jacuzzi and sauna are located outside on a private decking, giving the spa a back-to-nature feel. Not one to rest on its laurels, the spa menu is always being revamped to maximize clients’ opportunities for rest, recovery and rejuvenation, including cancer wellness. Losing oneself in a world of escapism and relaxation is absolutely possible at the Spa at Kilronan Castle. With an impressive Elemis-led treatment menu and an extensive offering that includes hot and cold vitality pools, hydrotherapy showers, tropical rain showers, aroma light-therapy steam rooms, saunas and a recently refurbished relaxation suite – all laid out in a manner conducive to whiling away a day of indulgence – once you get here, you’ll never want to leave. Offering quality, relevant treatments in a quiet, reflective environment, the icing on Galgorm’s cake is truly the first of its kind Thermal Village and Spa. It’s wonderful that the facilities are available for all residents as part of the day spa packages. Each spa visitor is given a map of the village, so detailed and exceptional is its offering. From a Celtic sauna, Beltane hot tub, snail showers, water beds, samarium, hot tub, saunas and the snow cabin, whether you intend to relax on a lounger or feel the heat in the Thermal Village, Galgorm is the place to do it. A cocoon of relaxation, Spa Solís is nestled within the heart of the magnificent Lough Eske Castle. Sitting in its own building in the garden, natural light, rich wood and textiles are used to great effect for a bright, airy feel that lifts the senses and the spirit, and fits in well with the spa’s choice in treatment lines – Yon-Ka and Anne Semonin. The thermal suite boasts a floor-to-ceiling window which overlooks the grounds and the heated, tiled seats make for the perfect spot to dry off and relax. Spa-goers can expect a warm welcome from every member of staff; our judge was particularly impressed by the home-from-home vibe of the five-star spa and hotel, masterfully blended in a real, genuine way. Tucked away from the hustle and bustle lies Lough Erne and in it, its calming, welcoming Thai Spa. Expertly-trained therapists, award-winning spa products and a relaxation room, lap sabai, that showcases the beautiful Fermanagh scenery, allow visitors to absolutely relax. Extra points must be given for the sabi sabi area, a pre-treatment room where you can unwind prior to your spa journey. Everything has been created with the spa visitor in mind with the pre-treatment offerings allowing you to enhance your experience and reawaken all of your senses. A holistic experience, set deep in the hotel’s vaulted basement, this Voya facial was luxurious, organic and to quote our judge “not at all hemp-ey”. Using the seaweed-infused product range – rich in powerful antioxidants – it works to detoxify, brighten and hydrate the skin, leaving it plumped and radiant. Beginning with a double cleanse and gentle exfoliation, to remove dead skin cells and stimulate blood flow, the facial is rounded off with a detoxifying, balancing mask and facial massage, with the brand’s anti ageing My Little Hero serum. Our judge said her post-spa glow was unrivalled. Set in the picturesque surroundings of the County Cavan countryside, oodles of space set this spa apart. The outdoor pool, in particular, proved memorable. Our judge felt that the ESPA Optimal Skin Pro Facial treatment exceeded expectations thanks to the proficiency of experienced therapist, Amy. The facial is easily adapted to suit the individual needs and mood of the guest and, not only did it prove relaxing, it delivered noticeable results post-treatment, leaving the judge feeling much more informed about her skin’s needs. All the products used during the treatment felt extremely kind and nurturing to the skin. Should a spa be only as good as its staff, then Ashford Castle Spa comes top of its class. Its team of staff, led by Spa Director and hospitality-industry veteran, Michelle Ryan, wholly understand the concept of providing a warm, world-class guest service. From the moment of booking to departure post-spa experience, the staff exudes the highest level of professionalism, skill, education and, of course, presentation. Expertly versed in wellbeing and health, as well as intensive product and treatment knowledge, service at the Spa at Ashford Castle aims for 100 per cent guest-satisfaction and in our judge’s opinion, they achieved that and more. Excellent service isn’t just about doing the basics well, it’s about the personal touches that make a person’s spa visit that bit extra special, and you can expect this in every aspect of this spa and hotel – whether dining in the restaurant, enjoying a drink in one of the cosy, old-world lounges, or indulging in a treatment. Our judge was particularly impressed by the high standard of technique displayed during the therapies. The cherry on top? When the staff heard our judge had been caught in a torrential downpour whilst cycling earlier in the day, she was offered a reviving glass of bubbly to enjoy in the Jacuzzi which overlooks the estate grounds – a thoughtful touch that meant earlier woes were soon forgotten. A familiar name in the Irish Tatler Spa Awards, Clonakilty’s Inchydoney Island Lodge & Spa has once again been singled out for its fabulous service this year. A reminder at the time of booking to bring swimwear, and to arrive early to enjoy the amenities, set the tone and our judge noted that from the moment they arrived they felt welcomed and cared for. “The customer service is excellent,” they said, while adding that therapist Carla was not only good at her job but also “kind and engaging”. Thoughtful touches, such as heated robes and slippers, as well as an abundantly stocked relaxation room, serve to add the experience and the feeling of being a valued guest. If your muscles are in need of some TLC, this is the treatment for you. In fact, we think this type of massage should be mandatory if – like most of the population – you spend your day hunched at a computer, accumulating knots and tension quicker than email notifications. Harnessing the power of eucalyptus and juniper, it’s an invigorating massage that uses a uniquely-designed amber and quartz poultice to target aching and sore muscles, relieving the body of well-stocked tension. Not only are the poultices indulgently sweet scented, they bring the warm pleasure of a hot stone massage too. No knot was left unaccounted for and suffice to say, we left the spa in a state of total relaxation and felt re-energised for hours in the wake. (€125/80 mins or €85/40 mins) The Spa at Druids Glen Hotel & Golf Resort, Newtownmountkennedy, Co Wicklow; Tel: 01 287 0800. An invigorating combination of a Turkish body scrub and Swedish massage, The Forest of Dreams treatment is something special. It begins with a brisk body scrub with Kerstin Florian products, then, after a quick shower, it’s on to the massage, which is both firm and therapeutic. Super therapist Dorota utilises her knowledge of massage, joint manipulation and shiatsu to tailor the treatment. In our judge’s case, that involved serious work on knotted shoulders, leaving muscles blissfully relaxed. Described as a “deeply indulgent and totally personalised massage,” our judge summed the result of this treatment up as “a state of utter relaxation”. Kicking off with some breathing and visualisation techniques, mindfulness is encouraged and what follows is an intense massage using hot stones and warm oils. The finishing touch is the calming scalp massage which willed our judge to take a nap in the relaxation room. For a relaxing, smoothing and brightening experience for body and face, this package is a real treat for the senses. Beginning with a full body scrub, our judge was treated to the scents of organic sweet orange and organ oil as the salt buffed away rough skin from top to toe. A back, neck and shoulder massage sorts out any areas of tension, with the pressure and focus points tailored to your needs and the treatment ends with a Youthful Glow Facial using Champagne, caviar and pearl (oh my!) it includes a divine scalp massage with warm oils. Skin is left glowing, super soft to the touch and the desk hunch of the nine-to-fiver was truly eased. A wonderful all-rounder for wellness and glow. (€170/120mins, plus lunch) The Spa at The Kingsley Hotel, Victoria Cross, Sunday’s Well, Co Cork; Tel: 021 480 0570. The two-and-a-half-hour detoxifier package is an indulgent body treatment that includes a relaxing ocean bath, a Cellutox Aroma Spa Ocean Wrap and a deep tissue, muscle-melting full body massage. Our judge reported their skin was left soft and glowing after the treatment, and a patch of irritated skin was carefully and expertly handled by the therapist. The seaweed from Sligo brand Voya used during the treatment retains lots of nutrients and skin-friendly properties, and our judge noted that the therapist offered to wrap the seaweed up for them to take home for a bath the same evening if so wished. Raising the bar for men’s treatments, this package encapsulates exactly what our judges were looking for in a tailored, relaxing treatment with top results. Starting with a moor mud back treatment enriched with pine and eucalyptus, a deep tension-relieving massage followed to ease away stresses of the every day. Next, a skin IQ power booster facial, using Elemis, gets to work at all the signs of ageing and uneven skin tone, tailored to the client’s particular skin concerns. The finishing touch comes via an Old Fashioned cocktail, served with a fruit platter in the serene relaxation room overlooking the bustle of Dublin’s city centre. Three treatments were carried out by Shona Fitzsimmons from The Spa at Slieve Donard and her talent, professionalism and intuition really made her stand out as an exceptional therapist who genuinely cared about going above and beyond. Before she began working on our judge – who had booked a massage, LifeStage facial and scrub – Shona laid out what was to be expected at each stage. She queried, in detail, any skincare concerns or areas of tension. Throughout she was attentive, checking temperature, massage pressure and comfort levels before discretely filling our judge in on any products that would help maintain the results she’d achieved at the treatment’s end. Her outstanding manner and results make Shona a very worthy winner. When a therapist is described as “having that X-factor” you know you’re onto a good thing. This is the case when it comes to Jinkerr Kaur, whose dedication to excellence is evident throughout her many years of training in the spa industry. After melting away any knots and tension, Jin guided our judge through specific breathing and visualisation techniques to create a mindful massage ritual which they noted for, “making the massage extra special”. In fact, they called it “an all round experience”. Her attention to detail, professionalism and extensive technique marked her apart from the crowd as a real one to watch on the spa scene. From the moment our judge was introduced to Daria at The Spa at Druid’s Glen, it was a perfect match, as she instantly put them at ease; gently guiding them through what the treatment would entail, while checking their preferences were met throughout. As well as a knowledgeable and lovely demeanour, it was Daria’s expert massage technique that stood out, with our judge noting it as “possibly the best back massage [I’ve] ever received”. In today’s competitive environment it’s important to award therapists who will really go above and beyond to create a genuinely brilliant spa experience for clients – and our judge found Daria to be one such gem. Not only does the extended Thermal Village and Spa at Galgorm offer a host of revitalising and relaxing options, a visitor can now feel the tingle of powdered snow and ice crystals – at an invigorating -10ºC. Recommended after using the sanarium – a comfortable heat experience at a lower temperature to saunas – the Snow Cabin clears the airways and boosts blood circulation. Full marks to those brave enough to remove their robes before entering. Once the novelty wears off and the coolness begins, you realise it’s a lot of fun with additional health benefits and ideal for those who enjoy wintry weather. We’ll be back. Monart is known for its innovative treatments and this year our judge noted the Pevonia Micro-Retinol Peel – a treatment that blurs the lines of spa-based, non-surgical treatments. It packed real punch, being described by our judge as “far more impactful than a typical facial” with “breathtaking results for tired and ageing skin”. In today’s results-driven marketplace, it’s offerings like these that stand out from the crowd. The Park Hotel’s SÁMAS Spa is a truly otherworldly experience. From its spacious outdoor Jacuzzi nestled among trees and overlooking the Kenmare estuary, to separate steam rooms for men and women, every care has been taken to create a sense of peace and serenity for visitors. A real stand out on the spa menu is the Rose Crystal Eye Treatment: a sumptuous ritual using crystals. An active treatment adjusted to meet the needs of the delicate eye area, lymphatic drainage is encouraged with the use of the rose quartz crystals, reducing the triple threat of fine lines, wrinkles and puffiness. Cited by our readers as their top spot to relax and unwind, The Spa at Farnham Estate was the overriding favourite for Irish Tatler readers who voted in their thousands for their favourite Irish spa destination. Set in the rolling hills of County Cavan, the link between this 40,000 square foot spa and its bucolic surroundings is key, as the spacious spa offers sweeping views of its surrounds, creating a zone of total relaxation and comfort for guests. Taking pride of place is the exclusive Yon-Ka and ESPA product ranges – a further sign of the high standard the spa maintains. Treatments vary from a developed day package offering to a generous suite of treatments for men, while the striking indoor/outdoor swimming pool is a real draw for spa goers. A true haven. Well? What are you waiting for? Share this with your spa buddy and get planning! Irish Tatler will be revealing the winners of the 2018 Irish Tatler Spa Awards very soon, so stay tuned for more indulgent, luxury destinations.